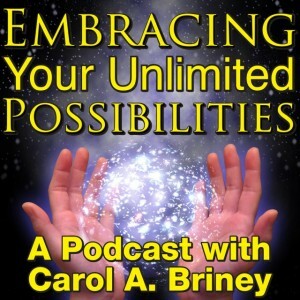 In today’s episode of the Embracing Your Unlimited Possibilities Podcast, Inspirational Speaker, Spiritual Business Consultant, and Metaphysical Teacher, Carol A. Briney asks the question: Do You Remember Who You Were Before Everyone Told You Who You Should Be? This podcast shares important information about making choices to live as your authentic self. Please take a moment to rate and review this podcast or to leave a comment on this blog post. We love hearing from you! Thank you for allowing me to part of your journey! To Listen To This Fun, Informative, and Thought Provoking 12-min. Podcast Click on One of the Links Below. Great podcast and very enlightening 🙂 Gets you really clear on who you really are!! Thank you Carol!! !